There is no denying the importance of vacation rental reviews: if a potential-guest is contemplating renting a property, positive reviews play a deciding role when comparing different rental properties. Knowing this, you are most likely putting in a lot of time trying to obtain reviews on your vacation rental website or portal listing. But what happens when the review you receive is negative? Responding to negative reviews is imperative: silence is often seen as compliance. Many listing portals, such as Airbnb, allow you to respond to reviews. If you have your own vacation rental website, you should request the website developers to add a feature that allows you to place a response to reviews. If you are unable to respond to a review directly, address the concern in your property description. For example if a reviewer states “It wasn’t a pleasant experience, the apartment was located in boring neighborhood with not many restaurants”. Using this negative review, you can brand the property in the description section as “a tranquil apartment for those looking for an escape from the hustle and bustle of the city without having to go to the country-side”. Many reviews are negative because the rental property does not provide the lifestyle amenities that many guests are used to. If a young couple rent an apartment in a family orientated neighbourhood, their experience might not be as pleasant if they are looking for a lively time or vice versa. For example you may receive a review that states “The property we rented wasn’t too family friendly. Although there was a baby cot, the apartment itself was not childproof and it was not easy to go in and out with a stroller”. The proper response would be to apologise for their negative experience, and refer them to a more family friendly apartment that you or an acquaintance might own for their future vacation. Then you should highlight how the apartment is ideal for young guests and couples who are looking for an adult oriented holiday rental. Some reviews are legitimate complaints that cannot be highlighted as positive, but instead must be addressed. If you are receiving reviews about paint being chipped, you need to listen to your guests and re-paint the walls. In the comment section (or your property description) let guests know that you will be fixing this issue and then fix the issue. Letting guests know you listen and respond to their problems allows you to show your excellence is customer service and addresses the issues that might scare off future guests. Sometimes things can go very wrong, and someone’s highly treasured holiday is ruined. Maybe the washroom broke-down or the cleaner forgot to prepare the apartment when the guests arrived. The key is to show that you care about your guests, whether they have a positive or negative experience. Depending on your budget and the extent of their unhappiness, you can send them a care-package or a free weekend at your property. If a negative review has already been given, apologise for their negative experience, state that you are going to fix the issue and hint that you will be sending them a compensation to show you care about them”. 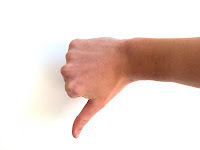 How do you deal with negative reviews on your vacation rental property? Have you been able to turn a negative reviewer into a brand ambassador who send you referrals (it happens when dealt with properly)? Let us know your thoughts in the comment section below. This guest post was brought to you by Francesca Nurlu, Digital Marketing Manager at Kigo Vacation Rental Software. Kigo provides vacation rental owners with industry leading reservation system, channel management and SEO websites.